Did Kurt Cobain Forecast His Date of Death? This Could Be His Final Autograph! 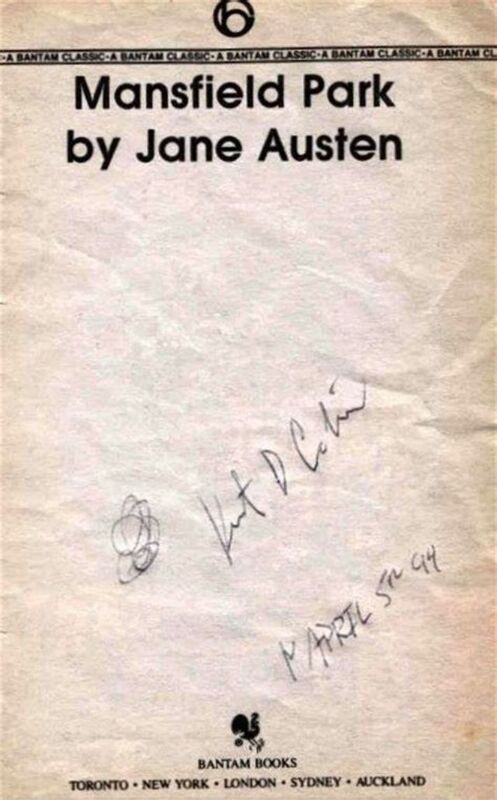 “My brother acquired the autograph when he flew from Toronto to Seattle for, of all things, a funeral. He left Toronto late on the 1st of April, 1994 and arrived at the Sea-Tac airport in Seattle in the early morning of the 2nd. He got off the plane and was on his way out to meet his ride when he saw a couple people getting an autograph from someone. This drew his attention enough to recognize that it actually was Kurt Cobain. 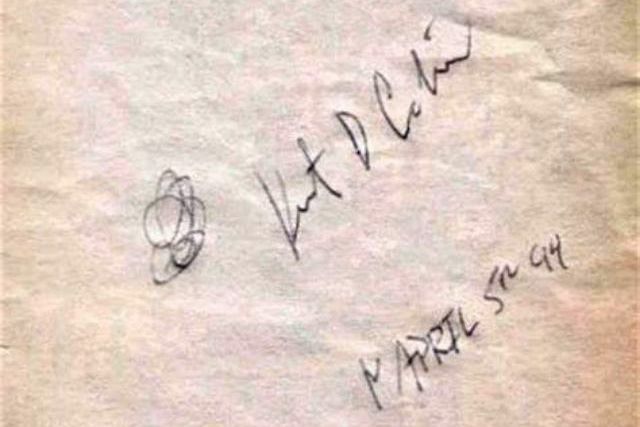 The eerie thing about the autograph it is that Kurt forecasted his death by dating it April 5th 94, which was the eventual date of his suicide. “So Kurt jotted down the date. The strange thing was that he dated it the 5th instead of the 2nd. And that was that. My brother told him that he enjoyed Kurt’s music a lot and the only thing Kurt said the whole time was “Thanks”. When my brother left, Kurt was still at the payphone. Everyone says that Kurt wasn’t still there at 2am, and had already left the airport a half-hour earlier, but that is just not true. 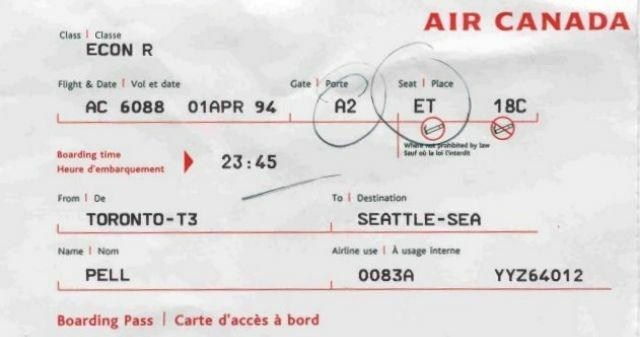 The timeline of Cobain’s final days do confirm he arrived at Seattle Sea-Tac airport on Saturday, April 2, 1994, at the approximate time of 12:47 AM. According to feelnumb, this is the famous flight he took from Los Angeles to Seattle after leaving rehab and sat next to Duff McKagan of Gun’s N Roses. Cobain still had a Delta airplane ticket, #788F. dated 4/1/94, seat 2F in his pant pocket when he died as the police report states.